This innovative clock radio is loaded with smart features and mp3 compatability so that guests can listen to their own music. 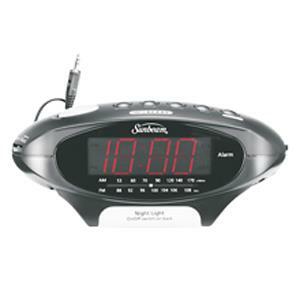 The large, bright LED display, built-in night light that switches on or off, and a lighted snooze button make this clock easy-to-use and see in the dark. All this comes in a small footprint with great sound and a great look.